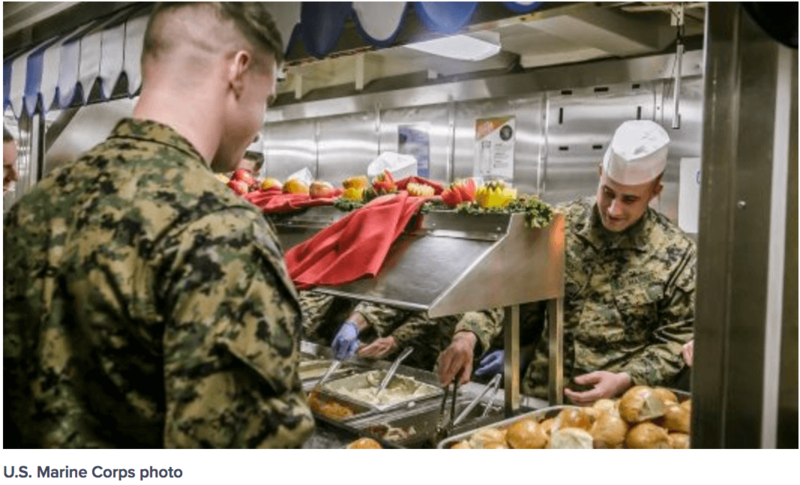 In preparation for Thanksgiving, the Pentagon sent thousands of feasts to troops throughout the Middle East, Europe, Africa, and on the Southwest border. This year, they amassed over 300,000 pounds of traditional Thanksgiving food. These deliveries to men and women don't even begin to describe the gratitude the Pentagon, and the rest of the nation, feel towards those who were without their families this Thanksgiving. But hopefully it brought a little warmth and thanks to their day.